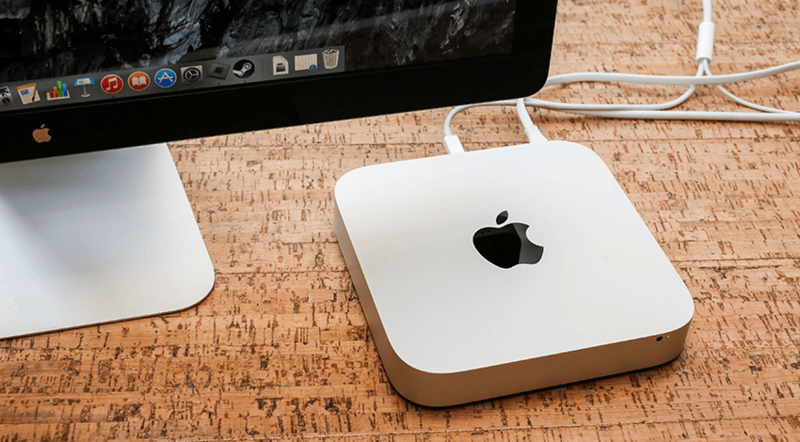 We’ve picked for you some of the best tricks that will make your Mac mini work better and faster in a blink of an eye. The Mac mini is the Apple’s compact desktop computer that can compete with many full-sized desktop machines thanks to its high power and incredible performance. A nice bonus is a light weight and stylish case that will only enrich your interior. This computing device is often claimed to be the best price-quality option for home and office use. All you need to get started – is to connect the monitor, keyboard, and mouse. It has everything you expect and even more. Nevertheless, sometimes there is a need to maximize the Mac mini’s speed to perform ordinary tasks much faster. That is why we would like to tell you how to improve Mac mini performance smoothly and efficiently. They supplied a computer, and we’ll provide proven tips on how to make the most of it. We do not try to convince you not to use backups at all as Time Machine can sometimes really get you out of trouble. However, while running, it can significantly slow down the system as it uses not only CPU and memory but also the space on the hard drive. Thus, if you need to speed up your Mac right here and right now, check out whether the TM is running at the moment. If yes, open it and put it off until later. Keep in mind, that you can always change the frequency of backups by changing the time interval. You can set any parameter suited to your needs, but usually, 4-5 hours is the optimal one. It is advisable to thin out Login Items from not-so-necessary apps and services that automatically launch when you first power up (or log in) to your Mac mini. Of course, you should exclude only those items you do not really need at startup right away. Open ‘Apple menu,’ select ‘System Preferences,’ and click ‘User and Groups.’ Choose a user and finally see the ‘Login Items’ tab. It will show you a list of the apps. To remove items from the list, just select them and click the ‘-’ button at the bottom of the list. And once again about the free space. As you know, to a great extent, your Mac’s performance depends on the spare space you’ve got left on your hard or flash drive. Therefore, if you want your Mac mini to bring on its best, you’d better have at least 10-20 percent of the storage freed up. So consider offloading some of the larger files. From time to time, we install apps that hog too much system resources, launch them and then switch to another task. The thing is those apps keep consuming memory while working in the background mode. Figuratively speaking, the machine’s thoughts dissipate, and it gives less attention to programs that are really important at the moment. Check out the Activity Monitor from the Applications folder and kill processes that ‘eat up’ too much memory giving your Mac a little break. If your Mac is indulging while you’re surfing the internet, the problem may be hidden in the browser, not the device or system preferences. Therefore, clean the browser’s cache to speed up Macs’ online performance. The directions for each browser are different, but in general, you’ll need to go to the ‘Settings’ in your Mac’s menu, and then – to the ‘History’ option. Just in case you forgot it. Make sure you use the most current software. And never keep the renovation for better times. Run Program Update manually from time to time not to miss the latest amending. Yes, seriously! Like they say it on the ‘IT Crowd’ TV-show. As we stated before, Mac can stay turned on for weeks or months without any serious problems. However, a restart is highly recommended. Of course, it won’t make your Mac start with a completely clean slate, but may eliminate lots of reasons for slow and sluggish performance. Actually, you might wanna apply this measure before moving to anything else on our tip-list. Keep calm, take good care of your Mac mini, and may it fly like new for years to come! Next Can Registry Cleaner Improve Mac’s Performance?